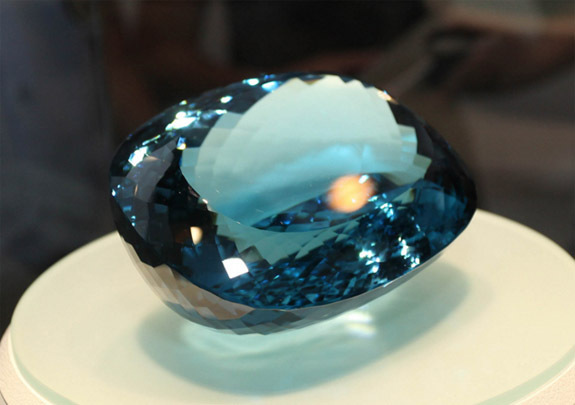 Weighing 8,225 carats, the "Marbella" is the world's largest faceted blue topaz and the most extraordinary example of December's official birthstone. 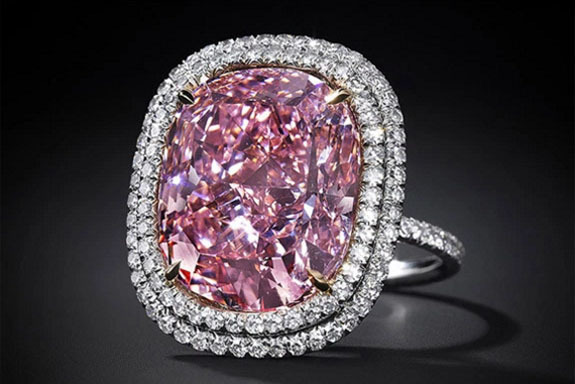 The grapefruit-sized specimen was purchased at the Tucson Gem Shows by the Spanish government in 2000 and added to its Programa Royal Collections museum, home to one of the world’s finest selections of precious stones. 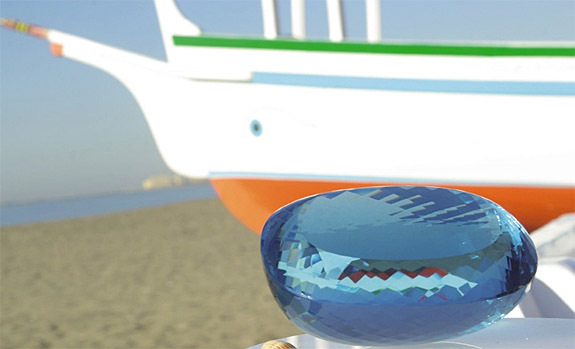 The Marbella was originally called "Topaz Azul" (Blue Topaz, in Spanish), but was renamed "Marbella" in 2010 upon the special request of Marbella's Mayoress and local dignitaries, who believed the gem could help raise the international profile of the Costa del Sol town, boost the economy and encourage cultural development. 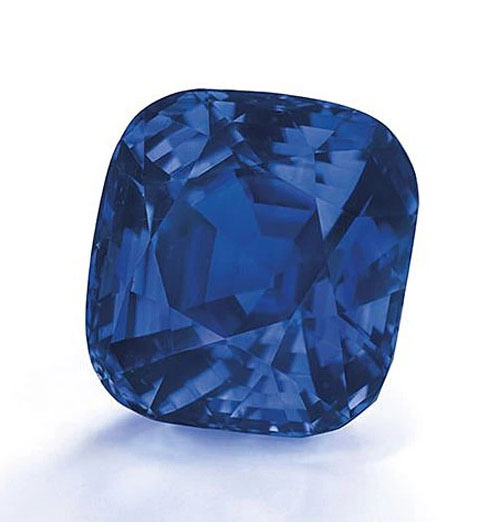 The gem's intense blue color happens to match the hue of the Mediterranean Sea near Marbella, which is on Spain's southern coast near the Gibraltar Strait. The gem is famous not only for its size, but also for its expertly crafted oval cut, its magnificent color and its perfect transparency. 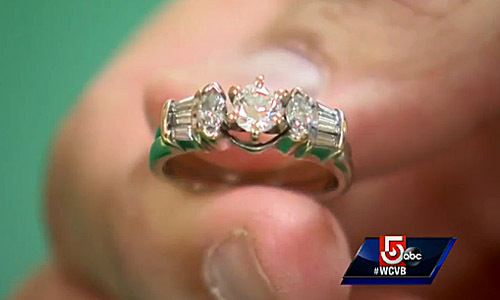 The dimensions of the 3.62-pound gem are 5.11 by 3.93 x 2.75 inches. The Marbella has impressive company at the Art Natura Malaga, Costa del Sol's leading venue for cultural and leisure pursuits. 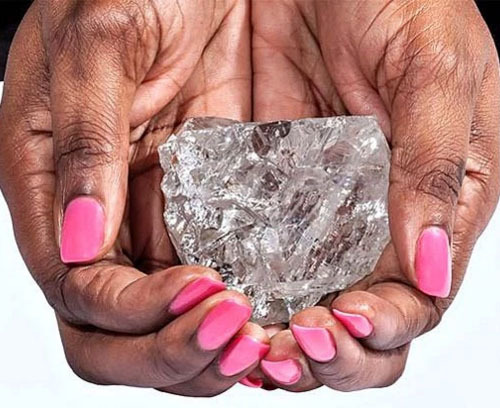 Among its exhibit-mates are the 25,250-carat "Lua de Marabá" (Moon of Marabá) topaz, the 456-carat "Corazón Verde" (Green Heart ) emerald, the 243-carat "Star" sapphire, the 4,185-carat "Star of Jaipur" ruby and the 8,175-carat "Giant" garnet. 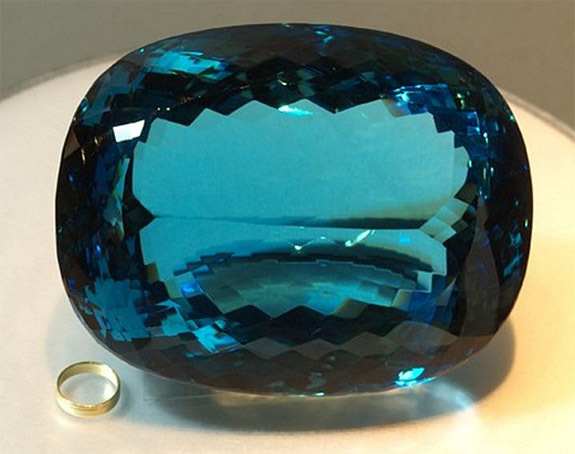 Blue topaz is one of three official birthstones for December. The others are turquoise and tanzanite. 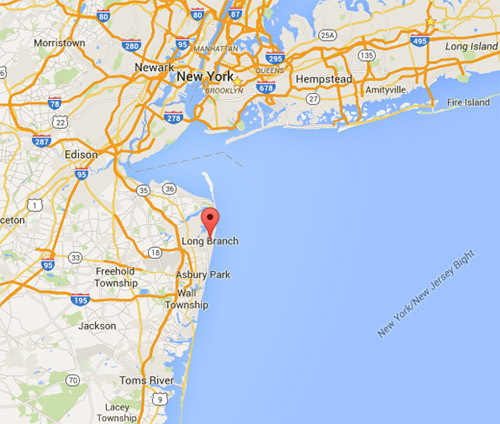 Images: Map via Google Maps; Gem photos uncredited. Talk about giving a personal gift. A group of scientists from Switzerland has developed a line of jewelry embedded with fossilized DNA, the molecule that contains an individual's unique genetic code. 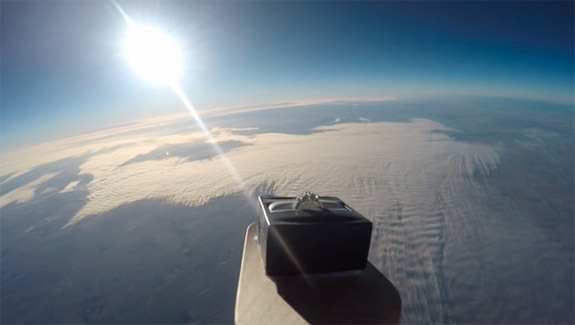 Protected by a diamond, the preserved DNA will last for 1,000 years and could be "de-fossilized" and analyzed generations from now by curious descendants. 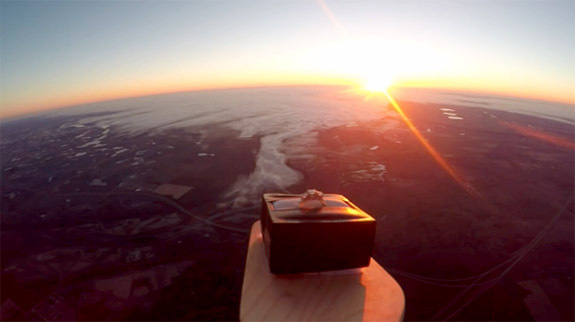 The idea is the brainchild of Swiss chemist Dr. Robert Grass, who was terribly disappointed when he attempted to search the internet for a unique "push present" for his wife. The products available were globally accessible, exchangeable and anything but unique. So the scientist got to work on a product line that would tap into his cutting-edge research into DNA preservation. Specifically, Grass and his team had developed new technologies for making DNA storable for millennia, similar to the way the DNA of living creatures is sometimes preserved in ancient amber or bone samples. DNA stands for deoxyribonucleic acid, and is the self-replicating material present in nearly all living organisms as the main constituent of chromosomes. 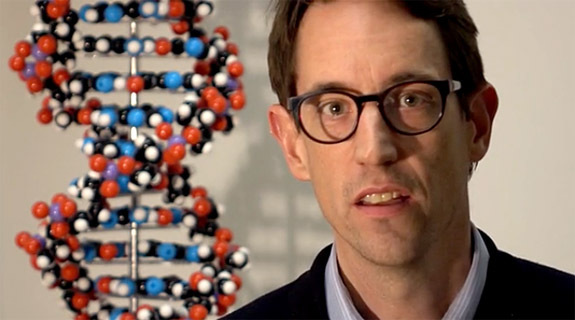 It is also the carrier of genetic information. 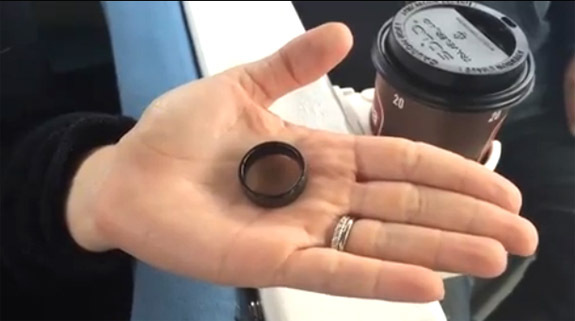 • The pellet containing the DNA is placed in a shallow indentation on the inside of the ring band. 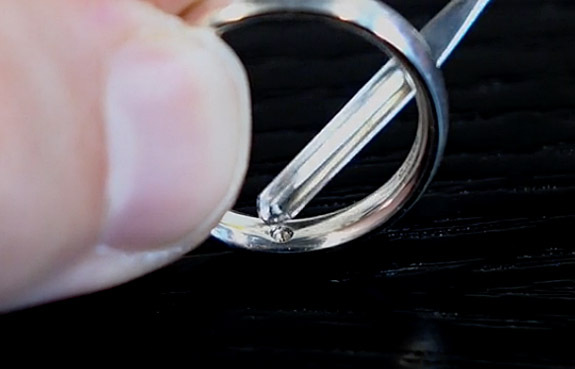 It is then sealed into place by a 2-point round diamond that is set just above the pellet but flush to the band's inside surface. Under normal conditions, Grass estimates that the DNA material will maintain its integrity for at least 1,000 years. The Identity Inside line, by Turbo Beads, currently includes two ring styles, a pendant and a watch. 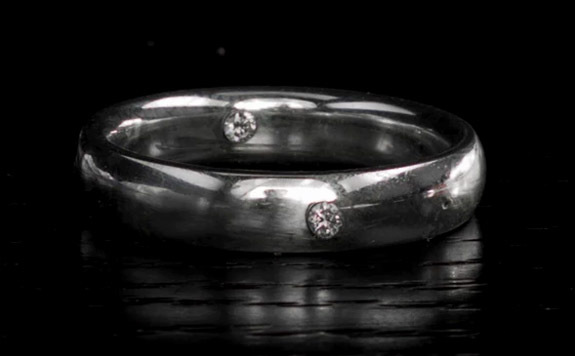 The basic ring in brushed sterling silver features the DNA sample and 2-point diamond on the inside of the band. 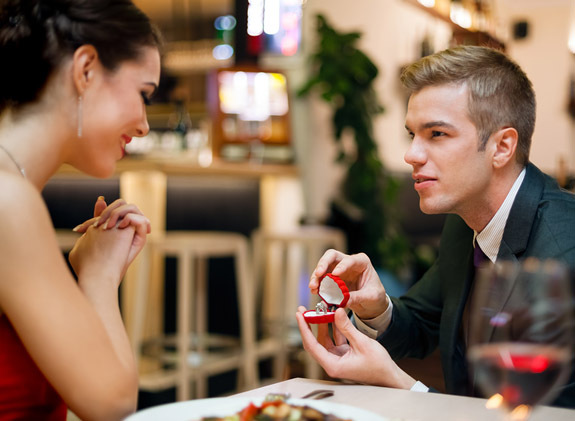 An upgraded version adds a 2-point diamond to the outside of the band. 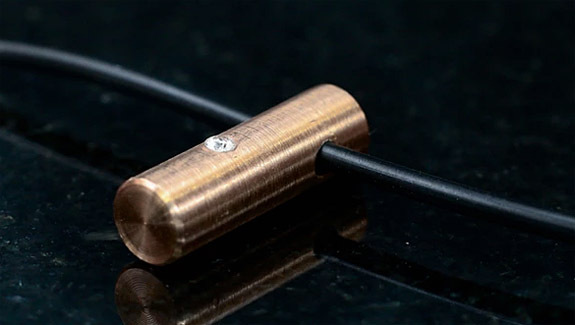 The pendant boasts similar components set in 18-karat rose gold on a black silicon cord. 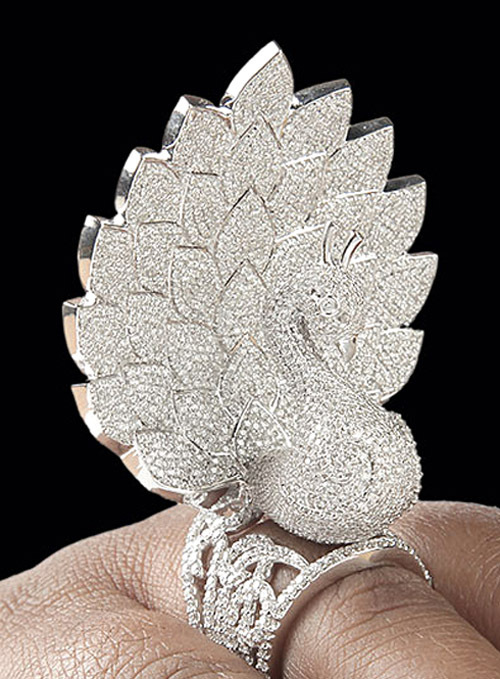 A Swiss-made Langenthal watch features the DNA pellet and protective diamond set in the crown. 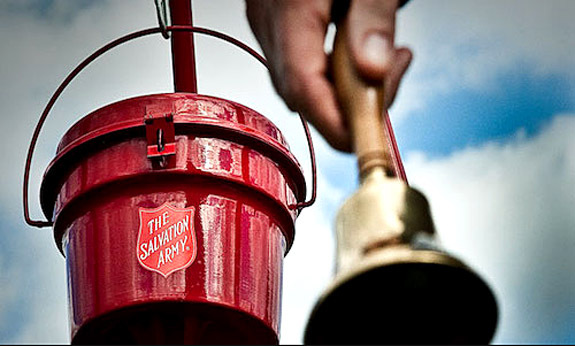 Retail prices range from approximately $300 to $1,000. 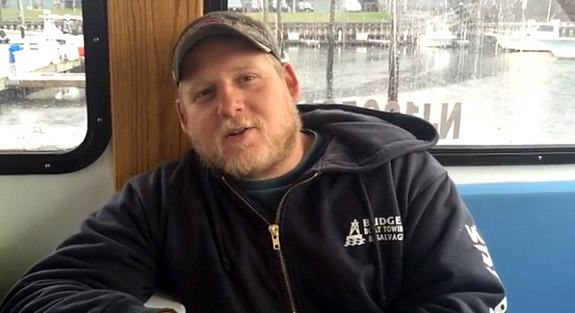 Dr. Grass and his colleagues recently launched a Kickstarter crowdfunding campaign to help move the project forward. 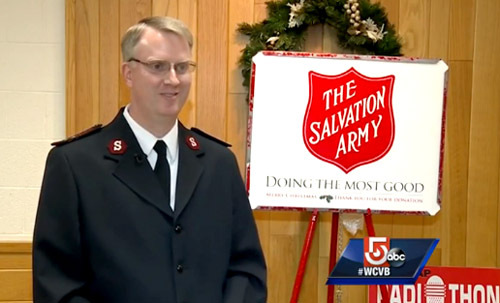 To date, the group has raised about $9,000 with a target of $20,000. There are still 18 days remaining in the campaign. Images courtesy of Identity Inside. 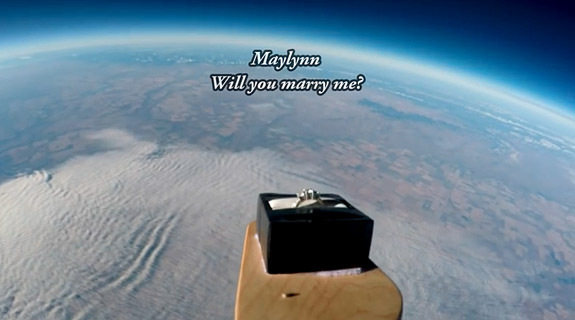 Video screen captures via Kickstarter.com. 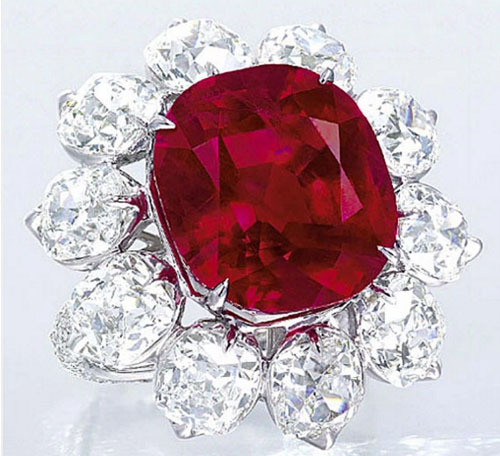 The Crimson Flame, a 15-carat pigeon's blood Burmese ruby, set a new record on Tuesday when it sold for $18 million at Christie's Magnificent Jewels sale in Hong Kong. 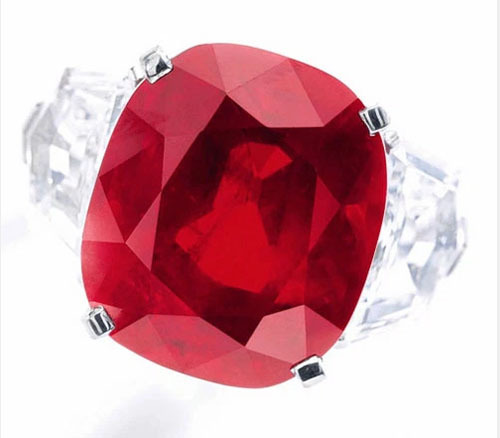 The gem established a new per-carat price record for a ruby at $1.2 million. 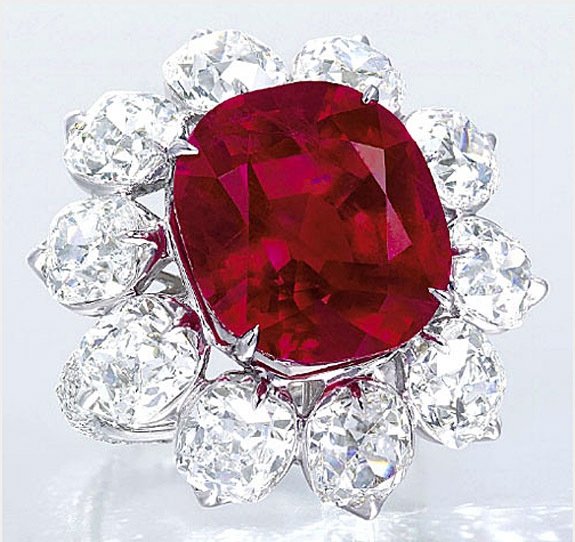 Proclaiming 2015 as the "Year of the Ruby at Christie's Hong Kong," Vickie Sek, the deputy chairman and director of Christie’s Asia jewelry department, was proud to put another record breaker in the books. Back in June, a 120-carat ruby-and-diamond necklace by Etcetera sold for $13 million, setting a world auction record for a ruby necklace. “Mogok’s Fiery Red” suite of pigeon's blood ruby jewelry by Fai Dee was split into individual lots and sold separately. 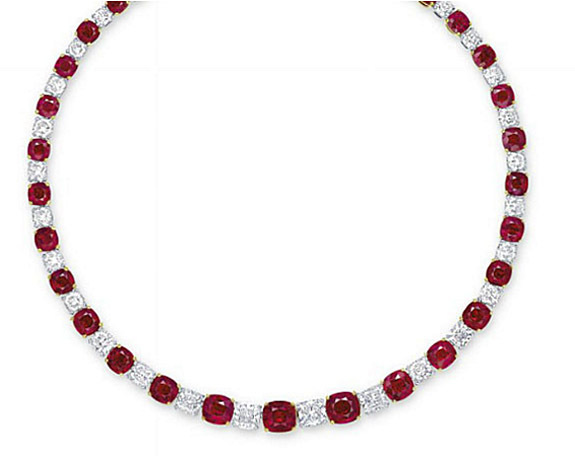 The first item was a ruby-and-diamond necklace featuring 32 cushion-shaped rubies — ranging from 1.04 to 5.05 carats — alternating with cushion-shaped diamonds. 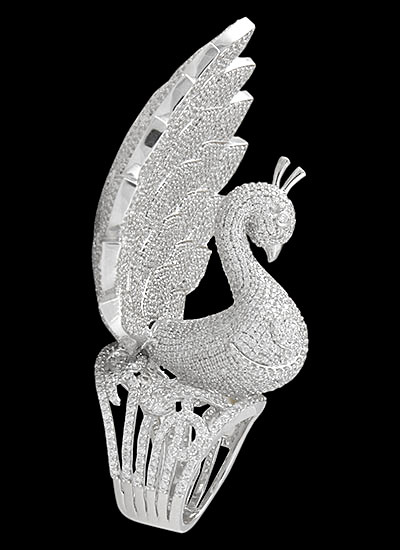 The piece came into the auction carrying an estimated selling price of $6.2 million to $8.5 million. The hammer price was $7.2 million. 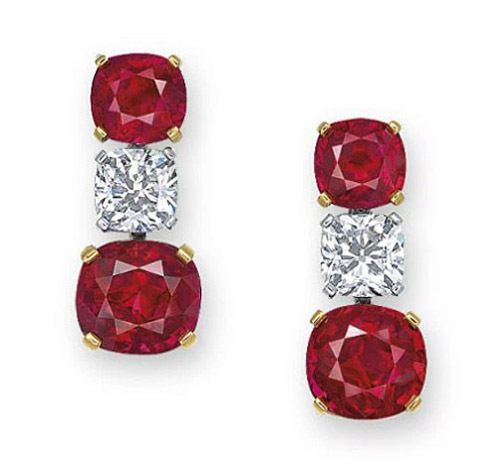 The second half of the suite was a pair of ruby-and-diamond ear pendants. 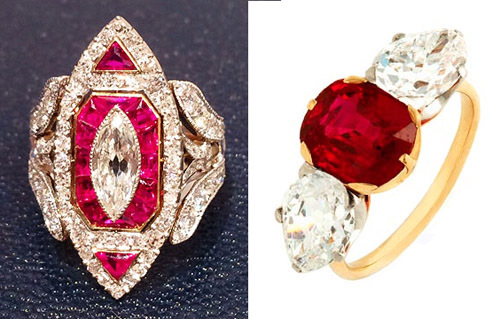 Each earring featured two cushion-shaped rubies spaced by a cushion-shaped diamond. The larger rubies weighed a bit over 5 carats, while the smaller ruby of each ear pendant weighed about 2.5 carats. 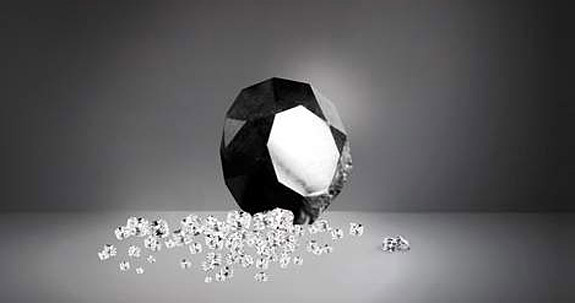 The diamonds in the middle weighed about 1.5 carats. This lot carried a pre-sale estimate of $2.9 million to $4.1 million and eventually sold for $3.1 million. 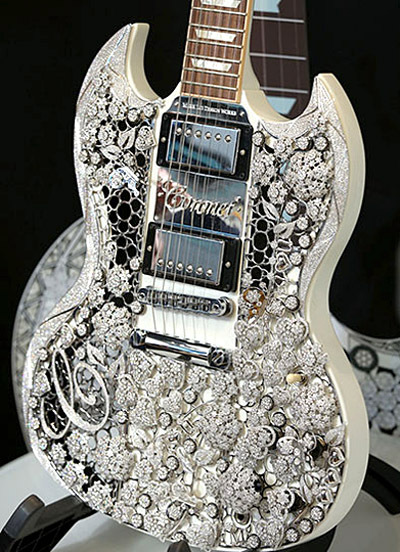 Welcome to Music Friday when we bring you classic tunes with jewelry, gemstones or precious metals in the title or lyrics. 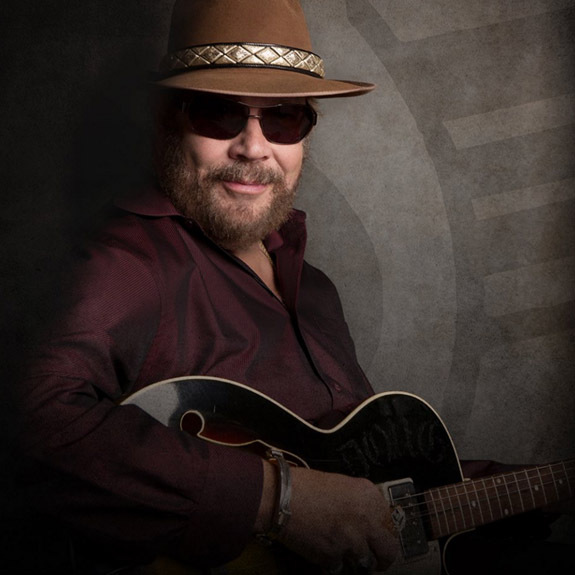 Today, Hank Williams Jr. tells the story of his 700-mile Southwestern odyssey in a 1975 song called "Clovis New Mexico." Williams recounts how he and his bronc-riding pal, Billy, head out on a very-low-budget adventure that takes them from Bossier City, La., to Abilene, Tex., and finally to Clovis, N.M., where Williams is smitten by a black-haired beauty with green eyes — who just happens to be the local purveyor of silver and turquoise jewelry. 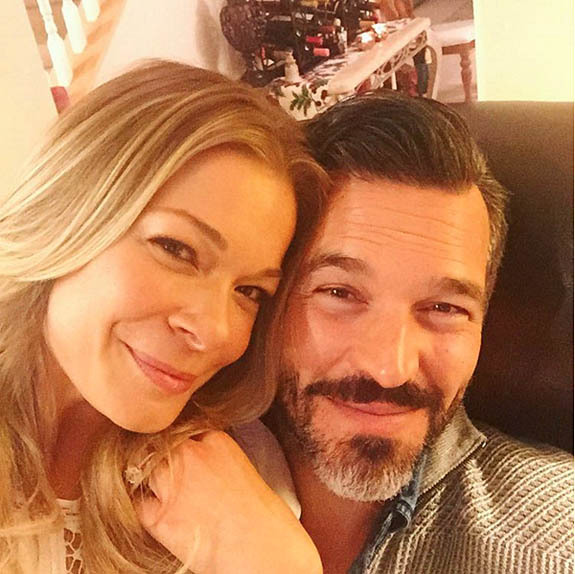 Williams' trek in an old pickup truck was not scheduled to end up in Clovis, but he couldn't help falling in love with a gal he calls "Baby." 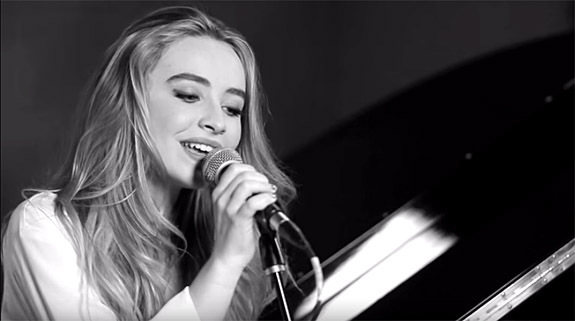 He describes her as a "born thriller," who had a talent for writing lines to songs he couldn't complete. And here's how the popular Southwestern gemstone appears in the song... "I needed some strings / Billy wanted a ring / The kind that the Indians made / A voice said hello boys / I've got silver and turquoise / And that's when I saw her face." "Clovis New Mexico" was the sixth track on the country singer's critically acclaimed, breakthrough album, Hank William, Jr. & Friends. Allmusic editor Thom Jurek wrote that Williams' release was "one of the best country-rock albums ever made and stands with the best of the outlaw recordings of the era." Critics claim that the album marks a critical period in Williams' career when his music veers toward country rock and he develops his own style instead of imitating his famous dad, Hank Williams. Hank William, Jr. & Friends was originally released by MGM in 1975 and then re-released in 2000 by Mercury Records. 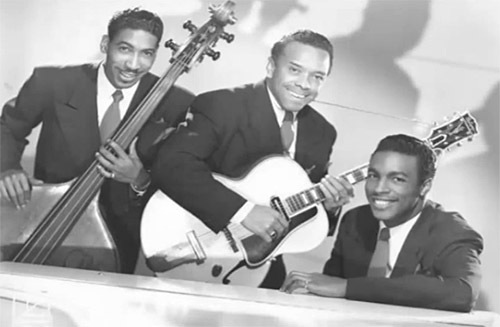 Williams is also a talented musician who can play the guitar, bass guitar, upright bass, steel guitar, banjo, dobro, piano, keyboards, harmonica, fiddle and drums. 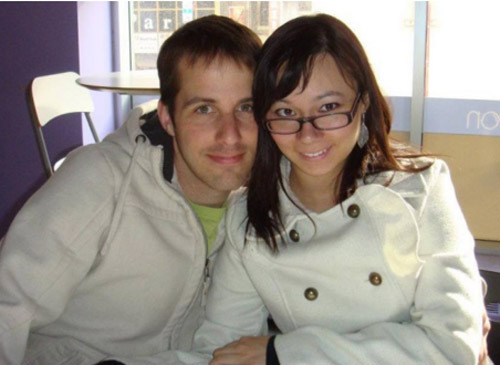 His Facebook page boasts 2.9 million "Likes." Born in Shreveport, La., the 66-year-old Williams — who was given the nickname Bocephus by his dad — is still making music and frequently making headlines for his outspoken political views. Written and performed by Hank Williams, Jr.
And that's what me and Billy do best. And we bought some gas and some beans. Was as far as I ever would go. 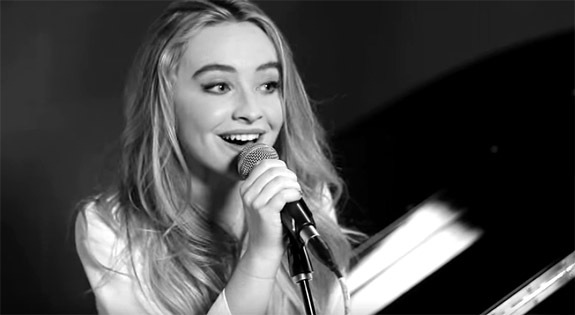 And that's when I saw her face. But I called her baby. And sang of my joy and despair. That’s somethin’ that both of us need. And I hope we never will part. Image via Facebook/Hank Williams Jr.
Colombian President Juan Manuel Santos excitedly tweeted Friday that the holy grail of all treasure shipwrecks — the Galleon San José — was found near the port city of Cartagena. 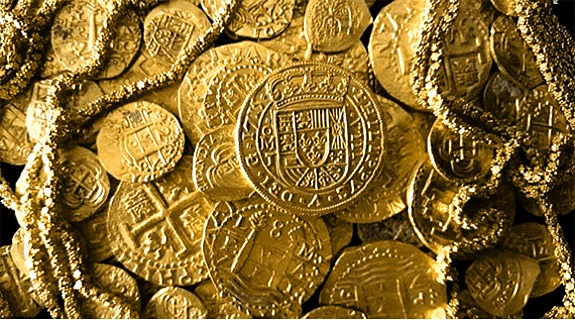 Loaded with 11 million gold coins and other riches from the Spanish-controlled colonies, the Galleon San José was sunk by a British warship in 1708. The treasure could be worth upwards of $17 billion, one of the largest amounts ever lost at sea. The soon-to-be recovered gold coins of the Galleon San José are likely to look like these specimens salvaged from a 1715 Plate Fleet wreck off the coast of Florida. "Great news!" the president tweeted in Spanish. 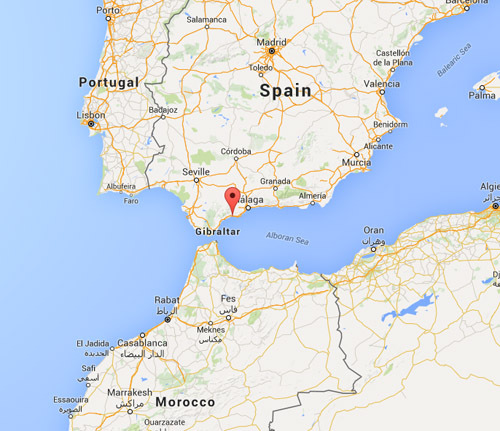 "We have found the San José galleon." 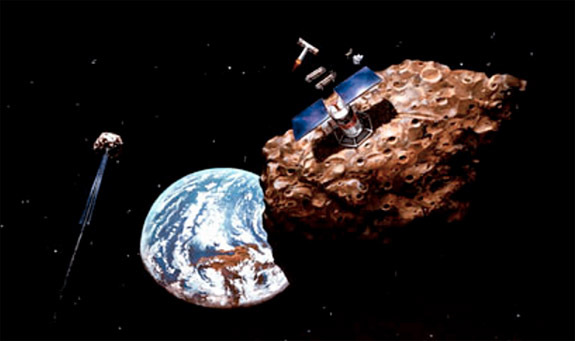 Santos said during a news conference on Saturday that the discovery was made on November 27 with the assistance of an international team of experts. Although he said the exact location of the wreck remains a state secret, the Associated Press is reporting that that ship was believed to have sunk along the coral reefs near Colombia's Baru peninsula, about 16 miles south of Cartagena. The Colombian president added that the discovery of the Galleon San José "constitutes one of the greatest — if not the biggest, as some say — discoveries of submerged patrimony in the history of mankind." 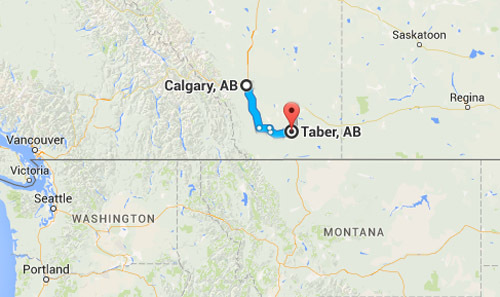 The recovery effort is expected to take years. 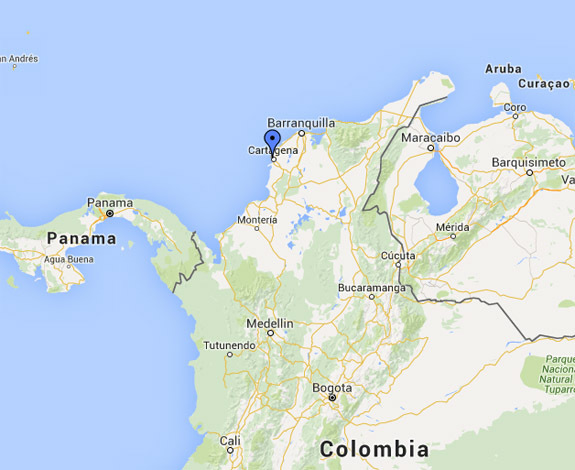 He also noted that a museum would be built in Cartagena to exhibit the ship's historic bounty. 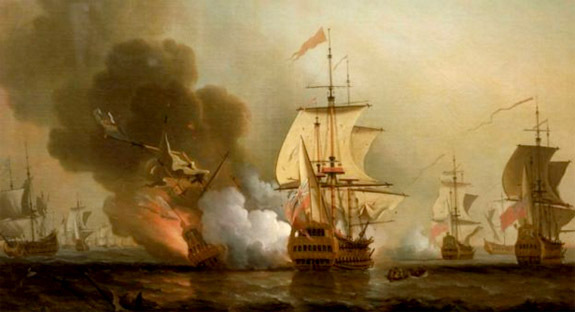 The Galleon San José, one of three ships that was on its way to Spain with riches obtained in the Nueva Granada colony, now Colombia, was reportedly carrying 200 tons of gold, silver, emeralds and jewelry when it was intercepted by The Expedition, a British ship that opened fire on the galleon. Most of the crew of 600 were killed in the attack. The Galleon San José was part of Spain’s royal convoy taking colonial gold to King Philip V during the War of Spanish Succession (1701–1714). 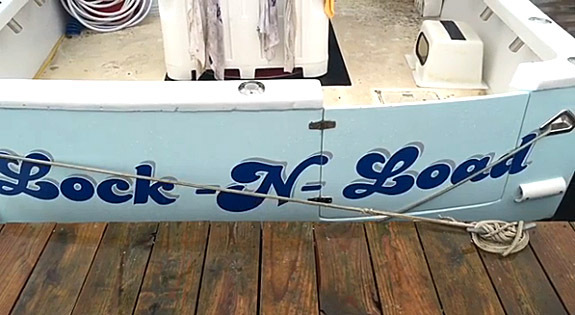 The wreck was discovered at a depth of 1,000 feet by an unmanned submersible vehicle. 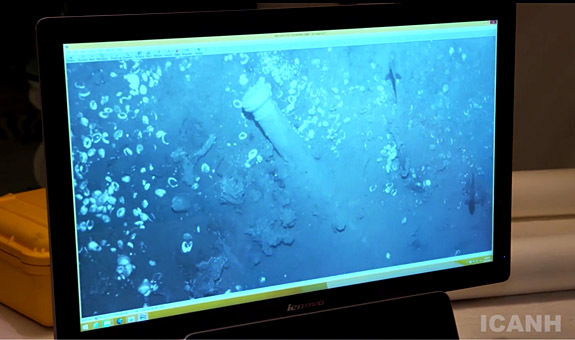 Fitted with video equipment, the research submarine was able to transmit indisputable visual evidence that the wreck was, indeed, that of the Galleon San José. The discovery and salvage rights of the Galleon San José have been the focus of a 34-year legal battle. Back in 1981, a U.S.-based salvage company called Sea Search Armada (SSA) had claimed that it had found the wreck and sought to recover the treasure. SSA was seeking a 50 percent stake, but two years after the claim, Colombia's government overturned a well-established maritime law that typically awarded 50 percent to whoever located a shipwreck. This effectively slashed Sea Search's take to a 5 percent "finder's fee" and sparked lawsuits in both the U.S. and Colombia, according to the Associated Press. 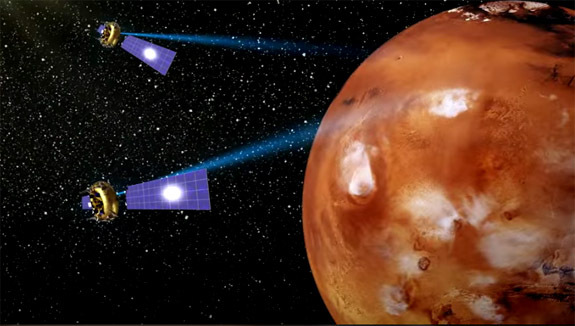 An American court dismissed the case in both in 2011 and 2015. SSA claimed that the Colombian courts ruled in favor of the salvage company. Jack Harbeston, managing director of SSA, told CNN in a written statement that the government of Colombia "keeps repeating the Big Lie (which is unfortunately repeated by the press) that the government of Colombia "won the case" in Federal District court and SSA had lost its rights to the treasure. Nothing could be further from the truth." In his press conference, President Santos did not mention the salvage company's lawsuit and noted that the ship was found in a never-before-referenced location using new meteorological and underwater mapping studies, according to the Associated Press. Credits: National Maritime Museum; Facebook/1715 Fleet – Queens Jewels, LLC; Twitter/Juan Manuel Santos; Google Maps; Twitter/24 Horas. 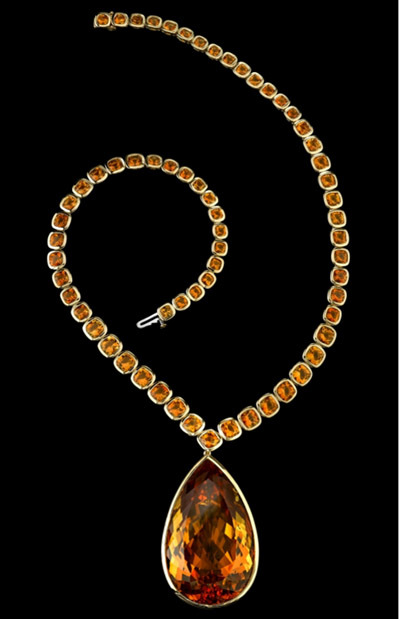 A "hauntingly beautiful" flame-shaped Brazilian citrine — conceived and meticulously faceted by American John Dyer — took first prize at the 46th German Award for Jewellery and Precious Stones. The awards ceremony took place in Idar-Oberstein on November 27. 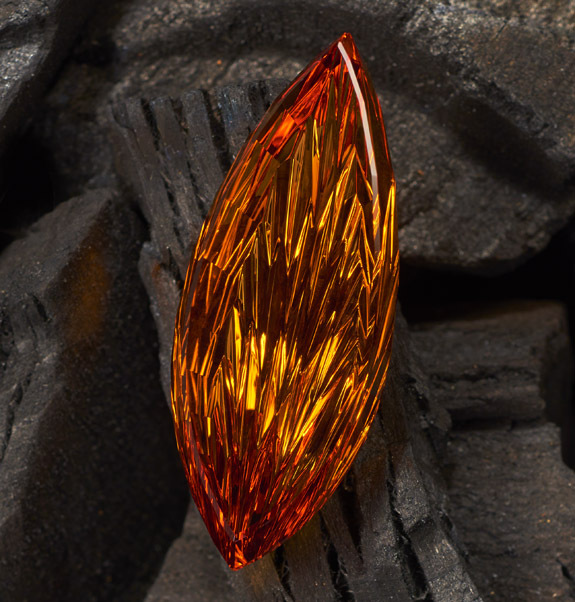 Judges unanimously gave top honors to Dyer's "Internal Fire," an 88.17-carat red-orange gem that measures 52.6mm (2.07 in.) long by 20mm (.78 in) wide. The competition's theme was "Light My Fire," and Dyer's interpretation was right on point. Explained Dyer, "The theme 'Light My Fire' didn’t immediately suggest anything to me so I prayed, asking God for inspiration about what to cut. 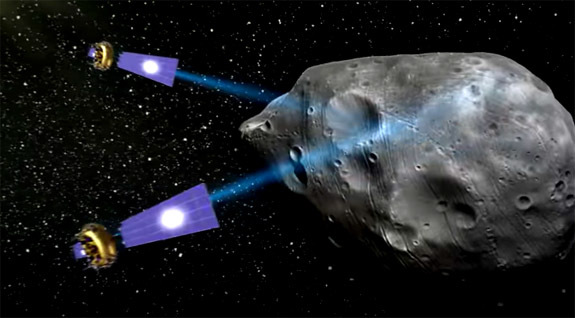 From there on, it was an unfolding process." The master gem cutter, who has won nearly 50 cutting awards since 2002, believed that an orange gem would fit the "fire" theme best. 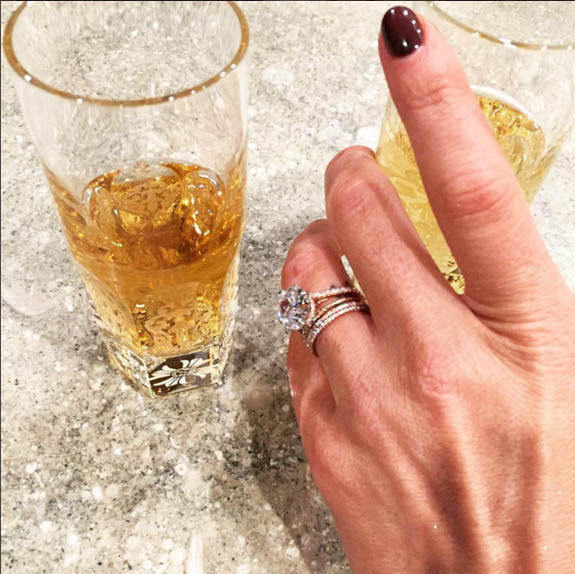 "With this in mind, I searched through my stock of rough, and one deep orange citrine stood out," he said. 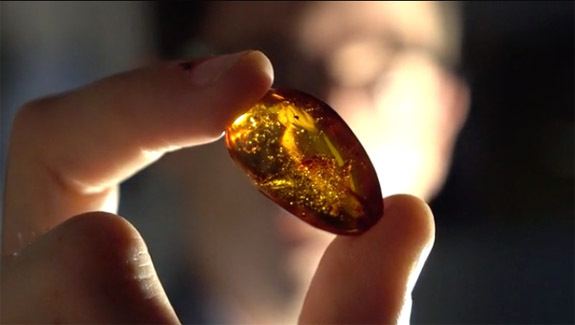 "Once I had ground it clean, it was indeed a flame shape and so the process of cutting the gem was begun." 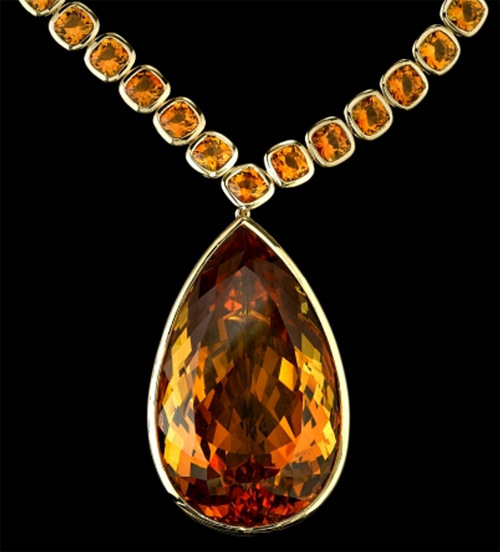 Dyer revealed that the look of a flame is achieved by the use of a unique faceting pattern on the underside of the gem. 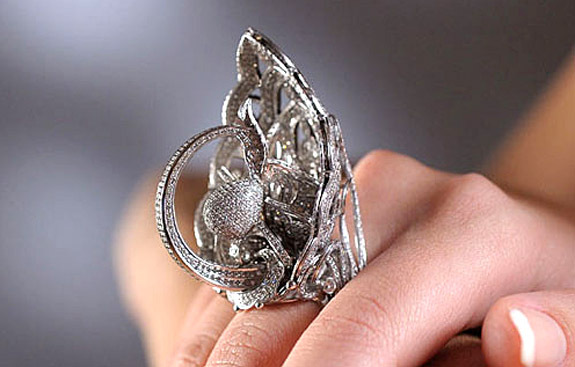 "It has little flame-shaped internal facets on the back, which reflect light individually with varying intensities so that they look like flames shooting upwards as the gem is moved," he said. 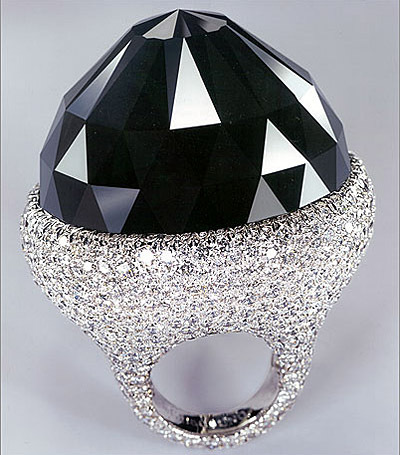 The original rough gemstone weighed 335.50 carats, and the end product represented about one-quarter of that weight. The Edina, MN-based Dyer explained that the rough gem also yielded about 18 finished carats of smaller gems from sawn off pieces. The cutting process took four days. The prestigious biennial competition in Idar-Oberstein brings together the work of top gem cutters from around the world. Judges consider the concept, realization of the theme and quality of craftsmanship to determine their winner. 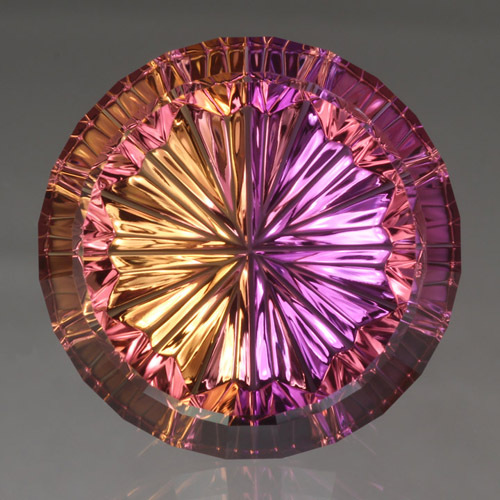 46.22ct Bolivian ametrine in a StarBrite™ round cut. 6.82ct Sherry zircon in a Regal Radiant™ cushion cut. Mined in Tanzania or Kenya. 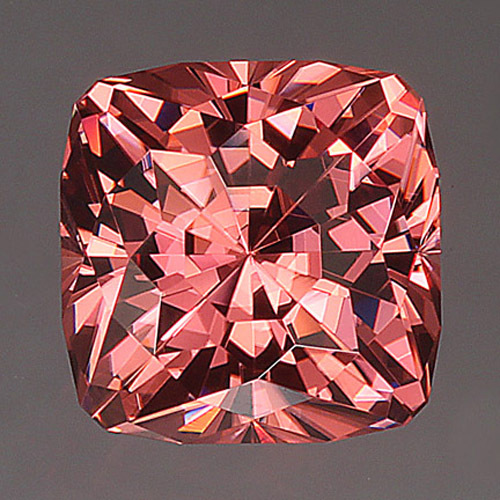 16.58ct Oregon sunstone in a ZigZag cut. 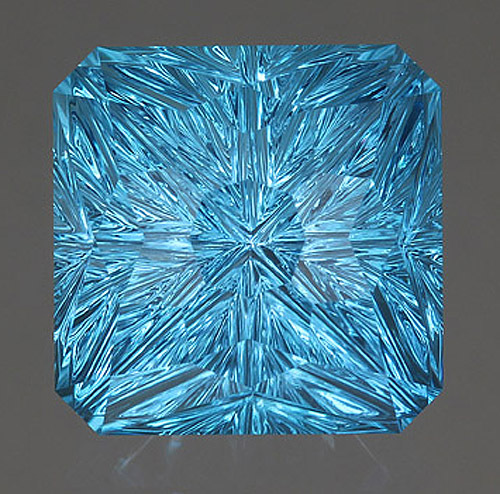 11.52ct Blue topaz StarBrite™ cut. 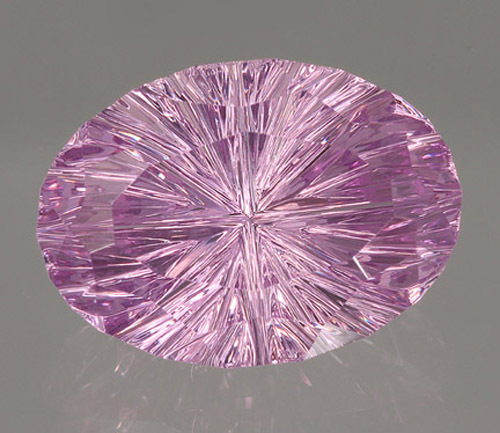 A 3.17ct StarBrite™ cut oval pink spinel. 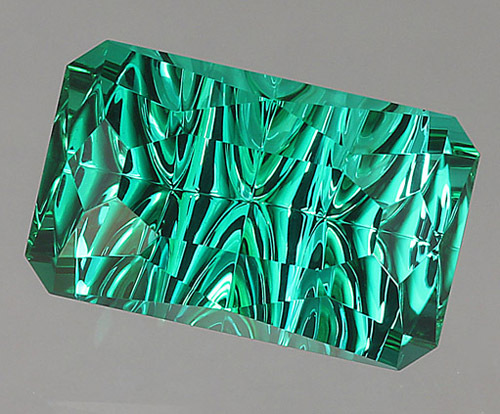 3.82ct Afghani tourmaline rectangle with concave faceting. 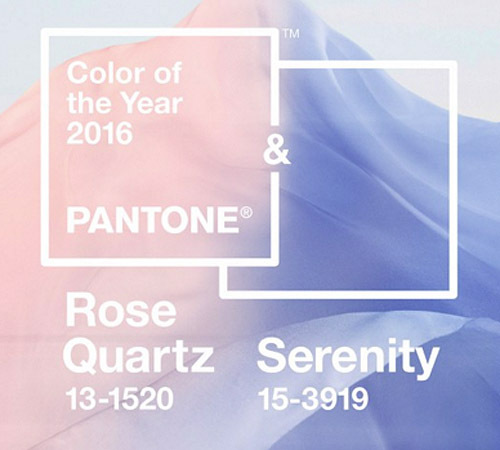 Credits: "Internal Fire" gem photo by Lichtblick Foto-Design, Hiltrud & Jürgen Cullmann of Schwollen, Germany; Other photos by Priscilla Dyer, John Dyer & Co.
For the first time ever, the color experts at Pantone have blended two shades — Rose Quartz and Serenity Blue — to create its 2016 Color of the Year. Together, the mineral pink and tranquil blue combine to communicate a sense of wellness and peacefulness, with a dash of gender equality. 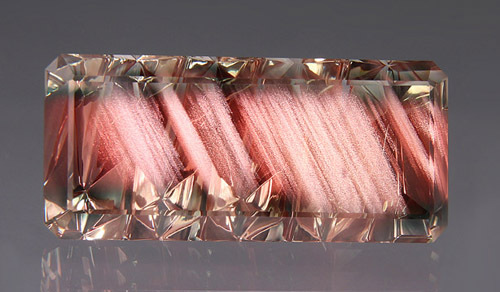 Noted Pantone, "Rose Quartz is a persuasive yet gentle tone that conveys compassion and a sense of composure. Serenity is weightless and airy, like the expanse of the blue sky above us, bringing feelings of respite and relaxation even in turbulent times." On its website, Pantone is displaying a short video showing the two colors flowing seamlessly into each other. This transition back and forth from pink to blue represents “societal movements toward gender equality and fluidity," according to Leatrice Eiseman, executive director of the Pantone Color Institute. Each year, the color authorities at Pantone pick a color that they believe will be popular for designs and products in the coming year. Typically, Pantone’s annual selection shows up in fashion, beauty, housewares, home and industrial design and consumer packaging. A year ago, Pantone disappointed the masses with its choice of Marsala, a brownish-red hue resembling high school cafeteria mystery meat. 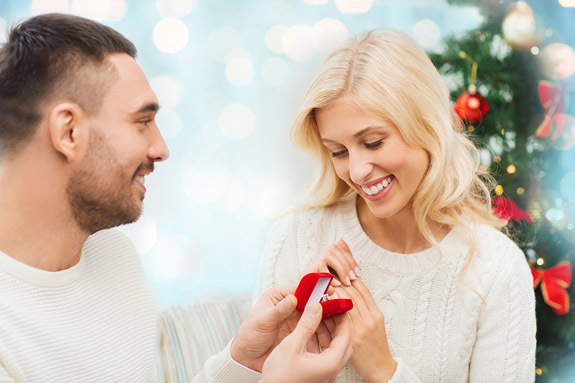 This year's colors — which are formally designated as PANTONE 13-1520 and PANTONE 15-3919 — were greeted with enthusiasm by a leading jewelry-industry publication. "The shades, Rose Quartz (yay! My pick!) 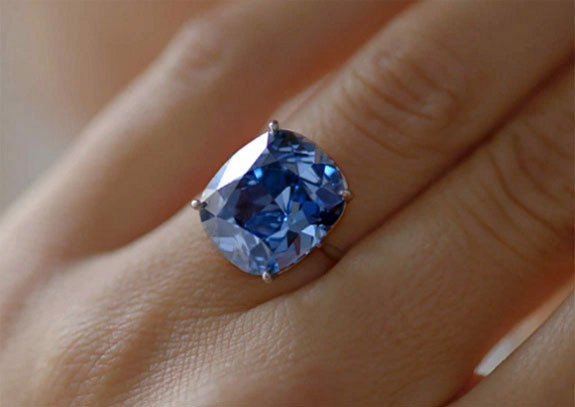 and Serenity Blue, are ideal for the jewelry industry," wrote Brittany Siminitz of JCK. "The blue reads as a chalcedony to me, touched with an almost purplish hue, while the pink, like its name, resembles rose quartz." "Admittedly, choosing the most clichéd gender colors can seem a bit simplistic," wrote Vanessa Friedman in the Times, "but Pantone has a broad constituency to manage; this is not about the cutting edge, but the big middle." 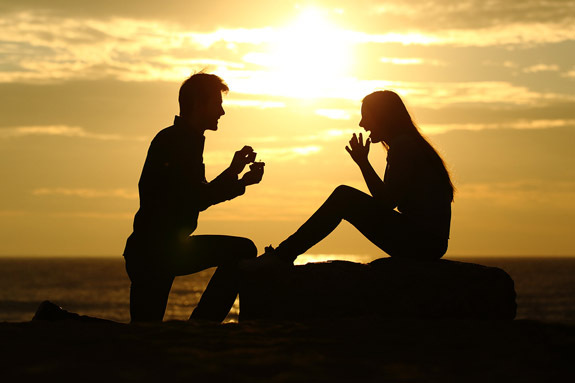 Sixty seven percent of brides reported they they began researching rings before getting engaged, using their mobile devices to browse ring styles (43%), sharing ring ideas with their fiancé (35%) and researching ring designers or retailers (29%). 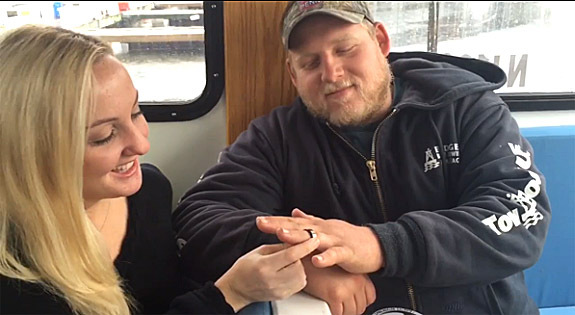 "I wasn't worried about the cost of the ring," Meagan told the Asbury Park Press. "I was more concerned with what it meant and what it symbolized."